Mueller: Porsche labor boss comments "not helpful." 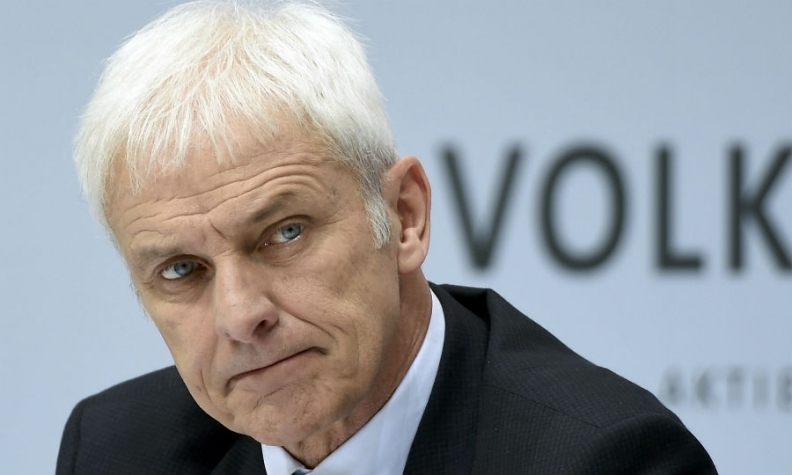 BERLIN -- Volkswagen Group CEO Matthias Mueller criticized Porsche's labor chief over public remarks about Audi's management in a sign of growing tensions within the automaker. Mueller said comments by Porsche labor boss Uwe Hueck calling for Audi managers to be dismissed over the premium brand's role in VW Group's diesel scandal were "anything but helpful." "The supervisory board certainly needs no lecturing on how it has to do its job," Mueller added in an interview with German paper Heilbronner Stimme. The nature and manner of Hueck's comments do not chime with VW's corporate culture, said Mueller, who ran Porsche as CEO for five years before becoming VW Group CEO a week after its emissions-cheating scandal broke in September 2015. Hueck, head of Porsche's works council and a member of VW's supervisory board, had given an interview with Bild am Sonntag newspaper in which he criticizing Audi managers. Separately, Handelsblatt reported last week that Audi is considering dismissing four management board members including its sales and production chiefs because of the emissions scandal. Audi's part in VW Group's emissions-cheating has been under heavy fire since March when German investigators raided the brand's offices in connection.